Having work friends can definitely make you happier on the job. Just make sure you don’t confuse work friends with IRL besties. If you work at least 40 hours a week, chances are, you spend more time with your colleagues than your friends and family each week. So it’s worth creating good work relationships. In fact, a 2014 Globoforce survey found that people with workplace friendships are nearly three times more likely to say that they love their companies and two times less likely to be poached by another company. But before you start becoming BFFs with everyone within cubicle’s reach, it’s important to remember that work friends come with conditions—and need to be treated with more discretion than non-work friends. Monster spoke with career experts to define some workplace friendship guidelines so you won’t end up with work frenemies instead of friends. You have to share some personal information to make friends, but you should proceed with more caution than you would for non-work friendships. Remember to always keep it professional and respectful. If someone asks if you have fun plans for the weekend, for example, you can share some details without resorting to a dismissive one-word answer like Emily Charlton from The Devil Wears Prada. “Developing work friends can be a mixed blessing,” says Methot. “On the one hand, forging deeper, more intimate relationships requires self-disclosure and vulnerability; on the other hand, if a work friendship spirals downward, the person can use personal or sensitive information against you,” she says. There are certain things you should never share with your work friends, according to Methot. “Beware of disclosing information that can create animosity, that is stigmatized, or that could get you fired,” Methot warns. For example, don’t brag about getting a promotion instead of your friend, make assumptions about political beliefs, or mention that you tried to sabotage another colleagues career, she says. Even in laid-back office settings, or workplaces where your manager is the same age as you, at the end of the day, your boss is your boss and is in charge of your reviews—and ultimately, whether or not you have a job. And she’s also responsible for creating an atmosphere of professionalism. You can be friendly with your manager or someone who you manage but be careful about how your friendship affects your professional relationship and how it may be perceived by coworkers. “If you’re regularly getting together outside work or sharing inside jokes, coworkers will worry that there’s favoritism at play no matter how equitable things actually are,” she says. 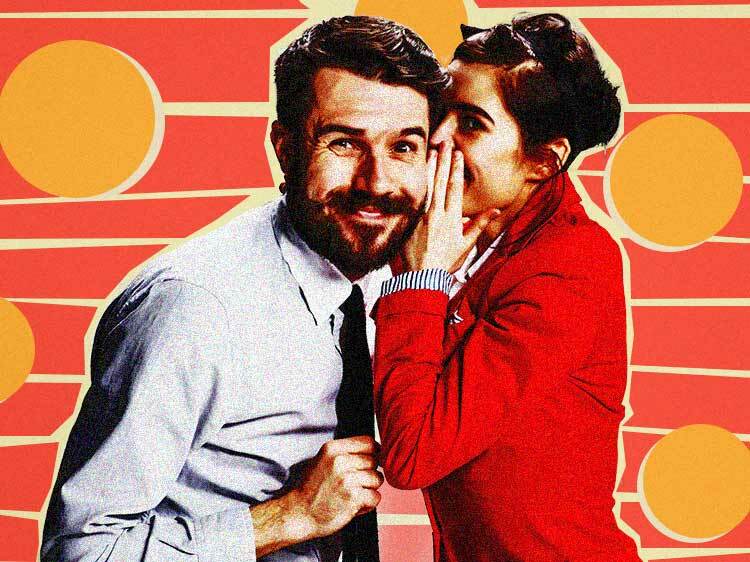 You need to be careful about sharing anything with work friends that you’d like to keep secret from your boss,” says Guerra. “Even if they assure you they’ll maintain your confidence, they may not be able to keep that promise if a higher-up asks them about whatever it is,” she says. Let’s say you told your work BFF that you made a huge mistake that could have negative ramifications for the company. Even though you told your friend not to tell anyone, there is a chance that they may feel compelled to disclose the information if a manager asks about it or if there is something that can be done to fix the mistake. Before sharing something with a coworker, Lynda McKay, founder of the Phoenix-based HR consultancy, HR Extension, says to ask yourself, “How much of what you shared do you want your supervisor to know? Always remember that is where this information can go,” says McKay. Oh and remember that anything you say over email, Slack, or text is screenshot-able or forward-able. If you wouldn’t want your venting or gossip about a coworker to get out...don’t write it down. Friendships aren’t always smooth sailing and disagreements happen...but don’t let a personal disagreement mess up your professional relationship. “One of the biggest predictors of quitting a job is poor relationships with colleagues, and a negative relationship at work can be salient, distracting, and de-motivating,” says Methot. So if a work friendship is on the rocks, handle it as calmly and professionally as possible, so you can either salvage the friendship, or move on calmly, so it doesn’t impact your 9-to-5. “Identify the source of the conflict and resolve it professionally. Do not spread gossip or rumors, do not try to get coworkers on your side, or cast your friend in a negative light with a supervisor,” Methot says. Of course, most work friendships can stay fun, light, and the bright spot of your work day—if you stick to these work-friend guidelines.